TAKE ME OUT TO THE BALL GAME ! "FORT HUNT LITTLE LEAGUE NATIONALS DAY"
Run the Bases After the Game! The Mission of Fort Hunt Little League is to provide youth baseball in a safe and positive environment to develop character, promote good sportsmanship and respect for others so as players grow into adults they will embody the highest and best values of the Fort Hunt community. Founded in 1956, Fort Hunt Little League is chartered by Little League International, a not-for-profit tax-exempt organization founded in 1939. Little League International operates under a 1964 federal charter signed by the President of the United States and is located in Williamsport Pennsylvania. Fort Hunt Little League Baseball operates under the aegis of the Fort Hunt Youth Athletic Association, a 501(c)(3) not-for-profit tax-exempt organization founded in 1959. Fort hunt Youth Athletic Association provides organized youth sports in the historic Fort Hunt community of Fairfax County Virginia. We’re pleased to host one of Northern Virginia’s highest quality baseball programs for children ages 4 through 18. We continue a long tradition of community baseball in the historic Fort Hunt area of Fairfax County dating to our founding in 1956. Fort Hunt Little League Baseball is dedicated to preparing youngsters to meet the challenges of life by developing physical and mental disciplines essential to success through competitive sports and the great game of baseball. We play baseball three seasons starting with spring baseball capped off with end-of-season Fun Tournaments for kids who want to play post-season tournament-style play against other District 9 teams followed by Little League All-Star play in summer plus clinics for youngsters aged 5 through 8 in late summer. Fall Ball typically starts a week ahead of Labor Day and continues into early November. Spring - Registration for the Spring Season opens January 1 and typically closes the third weekend in February except for T-Ball which remains open until the second weekend in March and the Seniors Division which doesn't close until the 10th or so of May. Registration for Fall Ball typically opens July 1 and closes the third week in August. Fort Hunt Little League Baseball is successful because of the thousands of volunteers who served in League positions both large and small over the years. You can volunteer when you register your player or by contacting me or any FHLL Board member. Don't hesiiate to contact me for additional information. Fort Hunt Little League Baseball is organized into divisions which consider skill levels, age and school grade. To the degree possible we keep players together with classmates and neigborhood friends but we move higher skilled players ahead to our upper divisions when warranted to keep challenging all players to do their best. In addition, we try to balance skill levels across divisions and teams so each team and Division is highly competitive. Competitive teams encourages players to compete with each other and themselves and challenges both highly skilled and less skilled players so we leave no one behind. Our primary goal is to foster a competitive spirit, good sportsmanship and a love of the wonderful game of baseball. We start from the sure knowledge that successful people have more fun - to that end, we strive to give our players the equipment, facilities and coaching they need to be successful. Success on the field starts with understanding and mastering good mechanics. We ask our coaches to strive to achieve three objectives: 1/ teach and encourage good mechanics, 2/ motivate players to commit to the game and compete with themselves and 3/ coach in a spirit of good will and a joy of life. The fun part will take care of itself. All we have to do is assure the players know and practice good mechanics on the field; that they learn to respect the game and their teammates and - always - are involved in an uplifting experience only good coaches can provide. Target Ages for the various Divisions are shown below. Descriptions of each Fort Hunt Little League Division are available elsewhere on this site under "League Descriptions." In brief, T-Ball and the A-Ball Divisions are designed for kids to play with their friends so we place players in those Divisions most often by age and on teams according to parent request. Players in the AA Division and higher are placed in Divisions by an assessment process and drafted onto teams by Managers. Player assessment and draft order is determined from a combination of skill assessments, coach recommendations, Baseball Age and school grade. At the Drafts, Managers select players one at a time, in turn, until all players on the draft board have been selected. Parent requests for a particular team, coach or teammate are available to Managers who consider them as best they can at each draft. 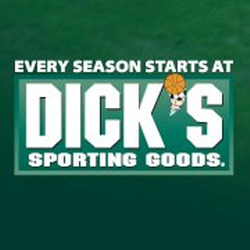 SPONSORS – Sponsor contributions provide uniforms and equipment and field and facility improvements. Sponsors are recognized in a number of ways and are all published in our very popular Spring Book which contains photos and rosters of all teams plus Ads for every Sponsor. Team Sponsors have their name imprinted on player jerseys plus they each have an Ad in the Spring Book. Banner Sponsors are displayed in a banner on the outfield fence at two of our most prestigious diamonds plus they each have an Ad in the Spring Book. Full page color Ads in the Spring Book are real attention getters as are individualized Business Card ads. Thanks for your support of Fort Hunt Little League! Please read these Little League International Official Bat Rules before purchasing a bat for use in FHLL. All local Little Leagues are driven and sustained by volunteers, and the volunteer category that we (and other locals LLs) struggle to fill more than any other? Not surprisingly it is the role of Umpire. Please consider volunteering for this most critical role - see the FHLL Umpire links on the FHLL page for information about upcoming training opportunities in March that will help prepare you for this rewarding and exciting position.